Choose your size during check-out. If youd need it in another size there is a processing time of 3-4 weeks. 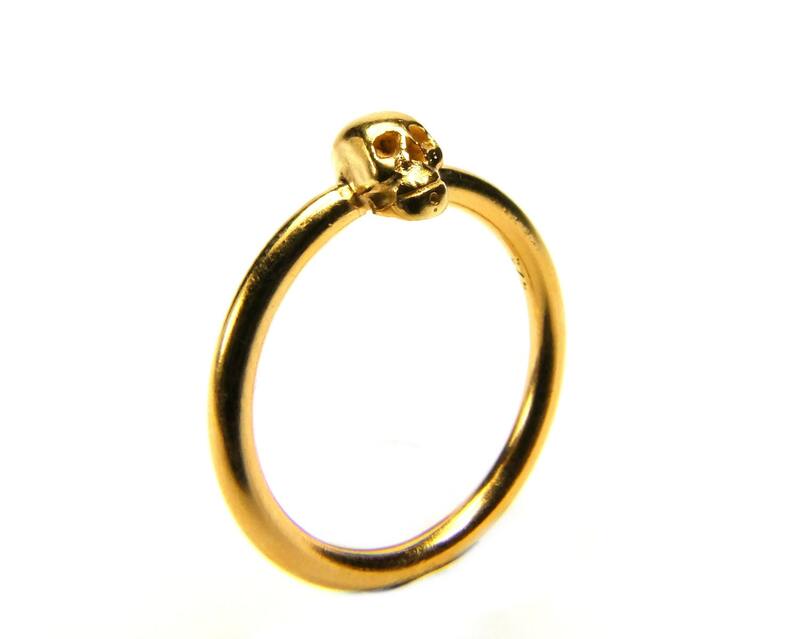 See this petite gold plated skull ring. 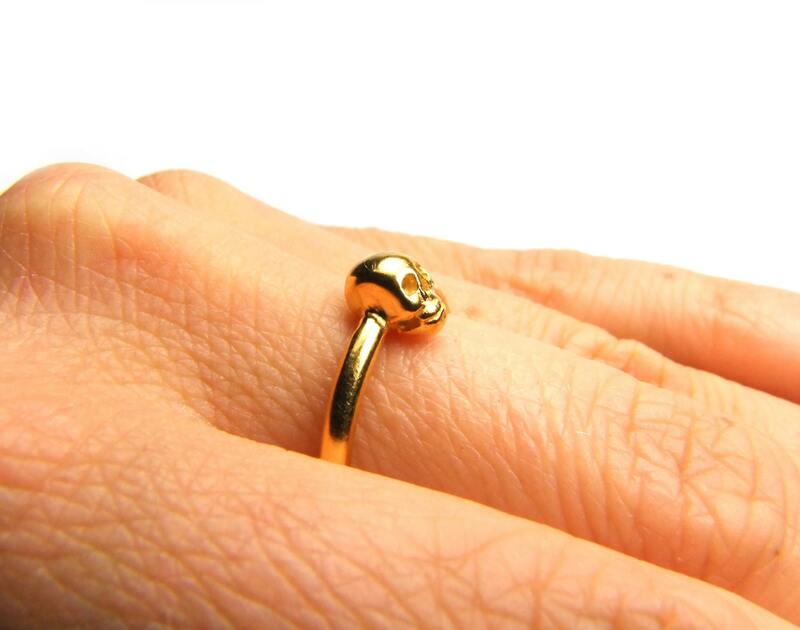 Its made of solid sterling silver with a thick fine gold plating. The skull is carved by hand due to human anatomy. The round sturdy band emerges from both sides of the skull, it is 2mm wide. The little skull measures 4x6.5x5mm/ 1/6x1/4x1/5“. 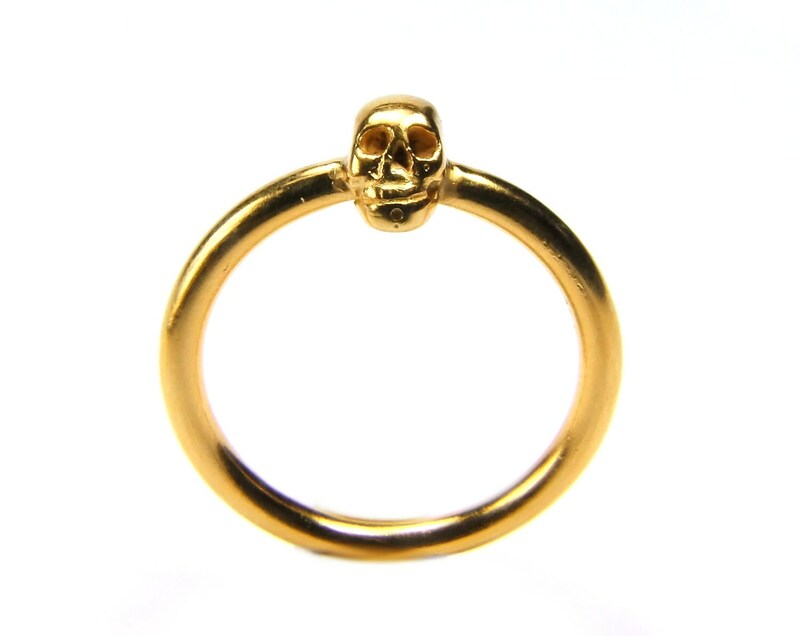 My little skull ring is very comfortable to wear, im having one myself and absolutely love it. Its not neccessary to wear statement jewelry for making a statement!